Our Soy Protein Isolate delivers an impressive 27g of protein per serving, and contains 90% protein content. What is Soy Protein Isolate? Soy protein isolate is protein that’s sourced directly from soybeans – this means that it’s completely free from animal products, unlike whey protein or casein, making it a great choice for vegetarians, vegans, and anyone with lactose intolerance. What are the benefits of Soy Protein Isolate? Made from defatted soy beans, using an innovative process to deliver low fat, as well as zero sugar — it’s perfect for increasing protein intake without adding unwanted extra calories. Who should take Soy Protein Isolate? Our Soy Protein Isolate is ideal for anyone looking to increase their intake of protein, without wanting the hassle or calories of protein-heavy meals. 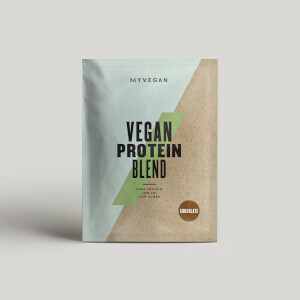 We especially recommend this protein powder to anyone following a plant-based lifestyle, since getting enough protein into a vegan diet can be tricky and time-consuming. What does Soy Protein Isolate taste like? Our protein powders are not only created to offer great nutritionals, but also to taste amazing in shakes. That's why we've developed a range of flavours for our Soy Protein Isolate. Simply choose your favourite from our selection, which includes Chocolate Smooth and Matcha, and enjoy a delicious shake that helps you hit your daily requirements. We also have Unflavoured if you’d rather add it to your own smoothies or baking. When to take Soy Protein Isolate? We recommend that you take 1 1/4 large scoops (30g) 30-60 minutes after a training session to maximise the benefits, but our Soy Protein Isolate works well for a quick boost of protein whenever you need it. With zero sugar, topping up on with this throughout the day is entirely guilt-free. What does Soy Protein Isolate work well with? A fantastic way to get vegan-friendly protein, you can combine Soy Protein Isolate with our plant-based Green Superfood Blend to get a daily dose of 20 all-natural superfood extracts. Plus, if you’re looking for a plant-based snack to satisfy your cravings, you should try our super-indulgent Baked Protein Cookie too. It’s deliciously rich, completely vegan, and delivers 13g of protein per serving. For allergens, see ingredients in bold. May also contain gluten, milk and egg. Firstly, I am severely lactose intolerant and this means I'm limited to what protein I can have, so I thought that I'd be stuck with really gross options. I've tried so many, and was suffering (in silence) about how disgusting they were. Then I found MyProtein after some searching and took a risk by trying the Smooth Chocolate and Strawberry Cream. O M G! I have double scoops for meal replacement and protein loading for circuits, dancing, PiYo, ChaLean Extreme, P90X and weight management. Two scoops is the important bit for me because most protein doesn't mix well, even with a blender. I load my shaker, then with very low expectancies give it a thoroughly good mixing testing with the Chocolate first...it mixed, and no blender! Next came the taste...it was good! And I mean, really good, definite chocolate tastes, nutty aroma, went down really easily sipping it, no nasty after-taste either! The next day, I had a chocolate one in the blender, fantastic. Really smooth and creamy, take care with the amount of milk (I use Lactofree blue), not enough and it's not nice, but get your amount right, memorise it and keep to it. I eat a main meal at lunchtime, then in the evening I tried out the Strawberry Cream, used a shaker, mixed two scoops and O M G! It's even nicer than the Chocolate Smooth!!! How is this possible? Now, I mix one scoop of Strawberry with one Scoop of Chocolate for ultimate NOMZ!! The protein content is high, not as high as the unflavoured but I don't want to have to add fruit to make it taste nice, it would defeat the object of low carb and high protein. For anyone with a need to have Soya protein, this is the nicest I have ever tasted and I've already ordered my second set! Mix with shakers or blenders, add in fruit, I'd say blueberries, put in in cake mix for protein sponges, Lactofree milk, Soya milk, and Almond milk. I've used this product for several years now and am highly satisfied. It is easy to digest and a truly excellent source of protein in my diet - which as an 80 year-old vegetarian - is of great importance to me! It is always delivered quickly and in good packaging. I normally have whey protein but recently discovered I have a milk allergy so tried this. The best way to describe this is angel delight... it is so thick it doesn't come out my shaker. It should be sold as a dessert mousse. Make sure you take a spoon with you to the gym. Used this product for years. It was always part of the usual deals. It used to be part of the regular 30% offs and BOGOF deals. Unfortunately, for some reason, My Protein have now decided to make it exempt from all offers. The product is fine. 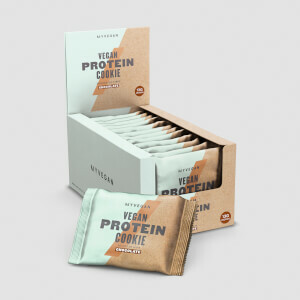 It's just a shame that My Protein have now decided to capitalise on the growth in vegan popularity rather than reward their regular and faithful customers. Flavour: Unflavoured. I can generally stomach a lot, but this stuff is just the worst. The texture is so bad, it's thick like cement and gloopy. I actually turned my shaker upside down and it took about 10s to drip out. I added double the water and it was almost just as bad. Unfortunately I was not allowed to get a refund. I wish MyProtein put a warning on the product that it's basically cement. Bought this for it's higher protein content. Found mixing the powder with a small amount of liquid first and letting it settle slighty before adding the rest of the liquid worked well. Combining it all together at once resulted in some horrendous lumpy and ridiculously frothy mess. I add coffee to mine, which helps make it more palatable. I got strawberry cream and I hated it at first, it does not mix well with water and I couldn't get it to mix well (lumpy). It seems to mix well with fat as I got the best result mixing with coconut milk (although soy milk works too) The taste, when mixed with plant-milk, is really good. To mix I add the powder to the milk, shake and then add water until I get the right consistency. This way I don't get any lumps and the shake is creamy. It's on the thicker side, which I like as I use it to replace my breakfast when cutting. First off, I am not actually milk, lactose or whey intolerant. I take this excellent protein supplement simply because of its amazing value and complete amino acid profile. It is significantly cheaper than the whey product alternative which very important to me as I am on a very restricted budget. It is also easy on the digestion with absolutely no side effects whatsover and is really helping my gains - it's even improving my beard growth! 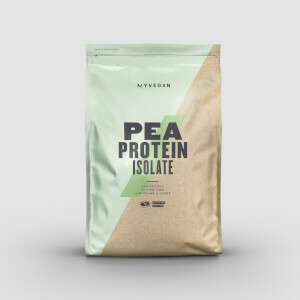 Additionally, I had been using a competitors Soy Protein Isolate as it was slightly cheaper but after I received a discount code from MyProtein, I decided to try their product. In short, it is far superior in both taste and mixability being much smoother in consistency when mixed with no lumps and less frothing. Sure, you've got to get jiggy with the shaker when mixing but hey, if you can do the weights or other exercise then shaking it up shouldn't be a problem. I will now only use the MyProtein product which, even without flavouring, tastes just fine to me but then I ain't a fussy Mummy's boy. What happened to the price? 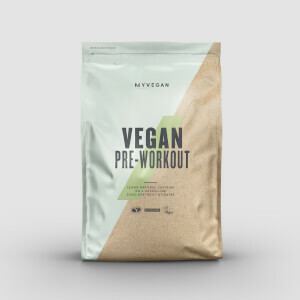 MyProtein have clearly identified a sales opportunity with the heightened interest in consuming vegan products. New packaging, higher price, and no deals. This is not helpful for those who can't tolerate dairy.